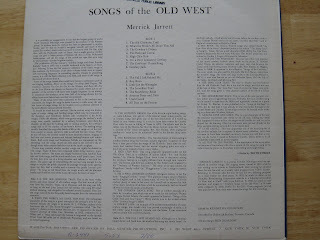 MERRICK JARRETT is a young Toronto folk-singer who has specialized in cowboy songs. His singing career started in 1941 while he was serving as an airman in Newfoundland. After winning an amateur show, he was featured on a weekly radio program from VORG, Gander. Returning to Toronto after the war, he had his own folk-song program on a local station for three years. In 1952, he made his debut on the Canadian Broadcasting Corporation network in a folksong series called "A Man and A Maid" with Joyce Sullivan. 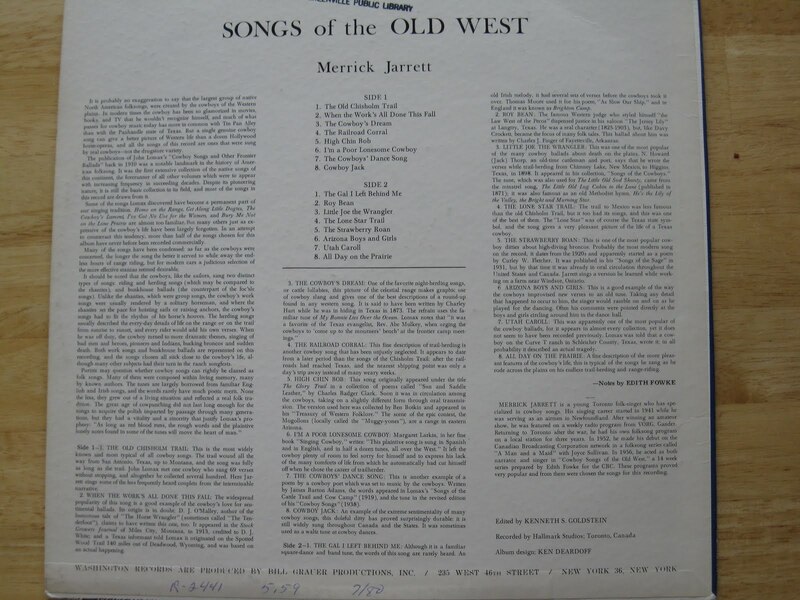 In 1956, he acted as both narrator and singer in "Cowboy Songs of the Old West," a 14 week series prepared by Edith Fowke for the CBC. 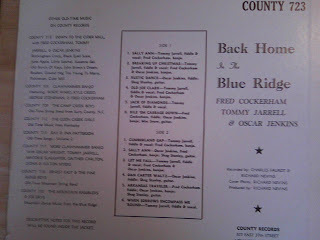 These programs proved very popular and from them were chosen the songs for this recording. The music of James Dale Howie reflects a long tradition of Anglo-Scots and southern mountain people and also presents a superb example of the sounds of early radio passing into the repertoire of a traditional singer. Jim was born on December 20, 1934, to Luella Fullerton and Walter Roland Howie on the outskirts of the village of Eden, Randolph County, in southern Illinois. His grandparents and great-grandparents lived in Randolph County, arriving there from Northern Ireland, England and South Carolina before the Civil War. 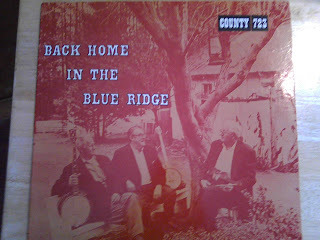 Thanks go to Drew Christie, who does the Democracy for the Cartoons Blog, for transferring and letting me borrow this album. I recently purchased a dulcimer chord book by Neal Hellman for relatively cheap (something like $4) I found it very helpful in understanding some of the basics of playing the dulcimer. I decided to look to see if he had any albums out and came across this one. The instrumentals are interesting but the singing is kind of folksy. Overall though it is entertaining. 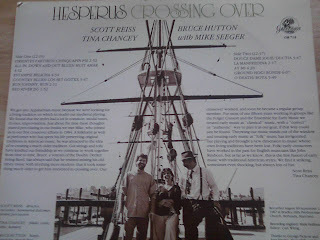 Hesperus plays early music, folk music, and various combinations of the two. 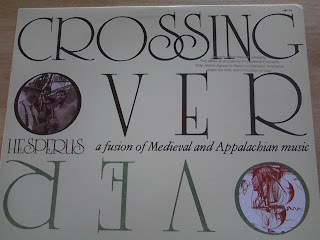 It presents European medieval, renaissance and baroque music; cultural portraits mixing early and traditional music of a particular country or region, and crossover programs fusing medieval, renaissance, Appalachian, gospel, blues, Cajun and Irish styles. We often partner with musicians from other traditions: Appalachian, Celtic, Sephardic, Cajun, blues, Andean, and African. If you like this album, I would strongly suggest purchasing a cross-over album the group has done called Patchwork. It would be better to directly purchase from their website, but if you must, there is an album called For No Good Reason At All that I think is essentially the same as Patchwork. it is available for download on CD Baby. 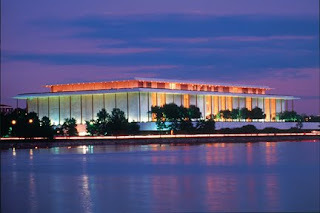 The Kennedy Center, located on the banks of the Potomac River near the Lincoln Memorial in Washington, D.C., opened to the public in September 1971. But its roots date back to 1958, when President Dwight D. Eisenhower signed bipartisan legislation creating a National Cultural Center. To honor Eisenhower's vision for such a facility, one of the Kennedy Center's theaters is named for him. Unfortunately, I found out about the Kennedy Center in a souring sort of way. I came across it when I was reading through one of the obituaries for Mike Seeger. That being said, There was a performance on the webpage for the center and it was great. It was one he had done at the ccenter in April of 2003. After watching this, I wanted to see what sorts of other artists had played there, so i did a few searches and came up with a performance by another one of my favorite musicians, Bruce Hutton. 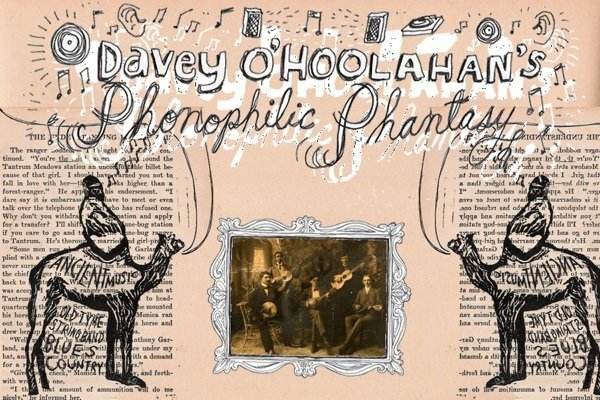 For those of you unfamiliar with his style, he plays old-time music with a variety of instruments including but not limited to the banjo, ukulele, autoharp, mouth bow, mandolin, guitar, etc. The video quality for these videos are not the greatest, but the sound quality is fine and the performance more than make up for this. Both these are definitely worth checking out.